With the largest tooth-length-to-body ratio of any fish, the fangtooth has earned its menacing name. 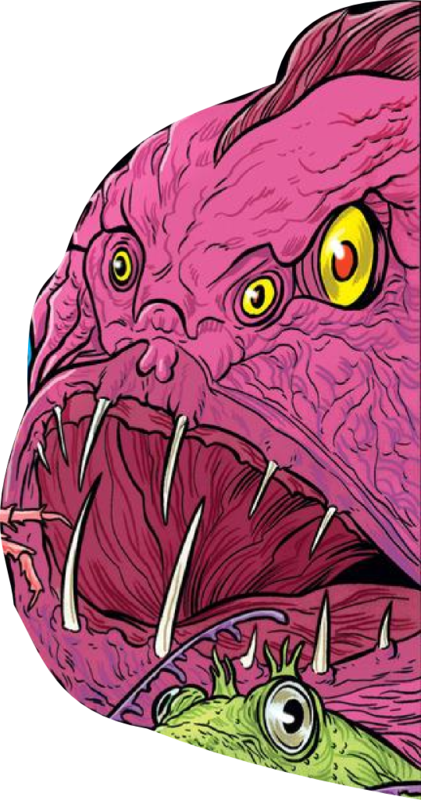 Unfortunately, this intimidating creature barely reaches 18 centimeters in length, hardly the massive, Batman-swallowing maw illustrated to the right. 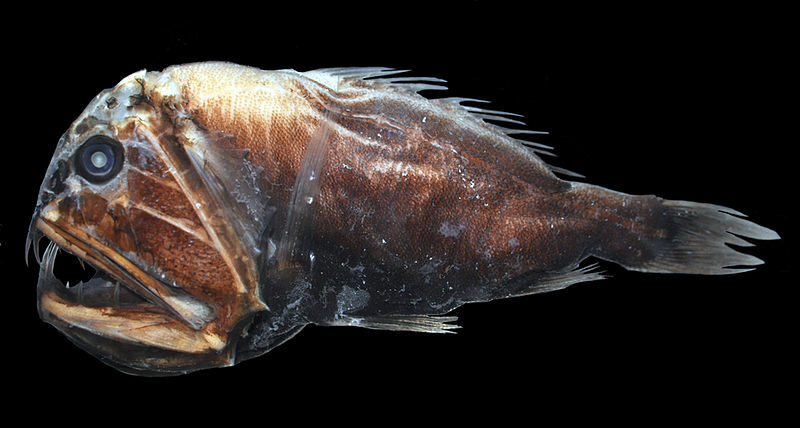 Fangtooths are among the deepest swimming fish. They can be found as far as 5000 meters down, though they are more common in the midwater (200-2000 meters). Fangtooth. Image by Citron / CC-BY-SA-3.0. 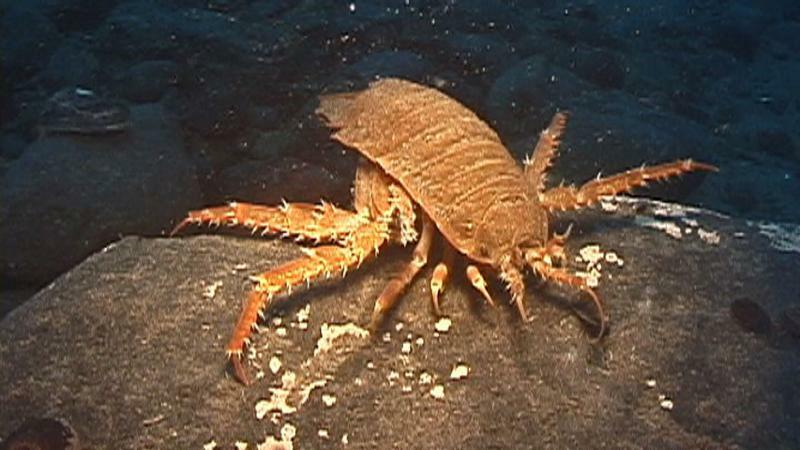 Bathynomus isn’t the only giant isopod in the deep sea. This svelte specimen reaches an impressive 9 centimeters in length. Not quite the groundshaking mass of B. giganteus, but orders of magnitude larger than most. Glyptonotus antarcticus lives int he waters around Antarctica, from the shallow intertidal to the deep continental slope. Giant isopod. Photo from Oikonos. This carnivorous scavenger can be found in large aggregations chowing down on seastars and other echinoderms. 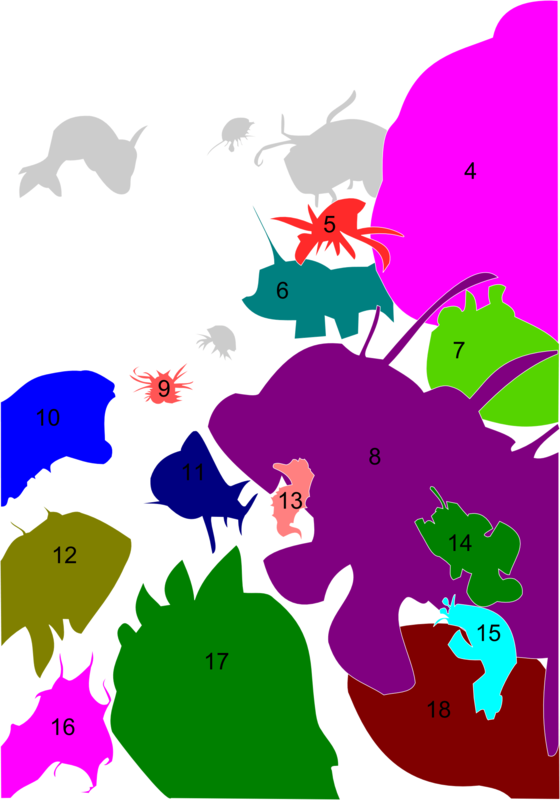 Like many species on this list, very little else is known. Thanks to its extreme durability, this isopod has occasionally been used a model organism to study speciation in Antarctic marine life. 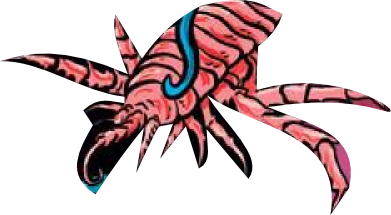 Here’s a very recognizable creature from the deep. The hairy anglerfish made its cinematic debut in the BBC series Blue Planet and has been a fixture in deep-sea art since. This wonderfully ugly animal uses a lure resting atop her head (and trust me, this is most definitely a ‘her’) to attract unsuspecting animals who she quickly converts into a tasty snack. 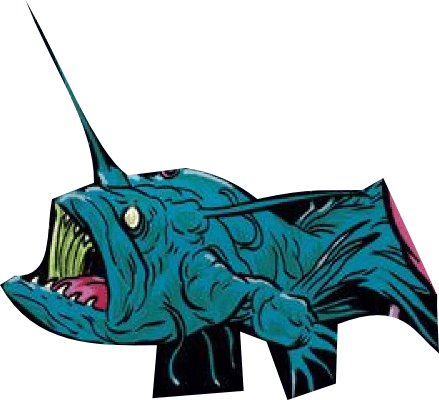 Hungry for more deep-sea creatures by way of Aquaman? Check out part 1 in this series and come back tomorrow to find out about the next 3.